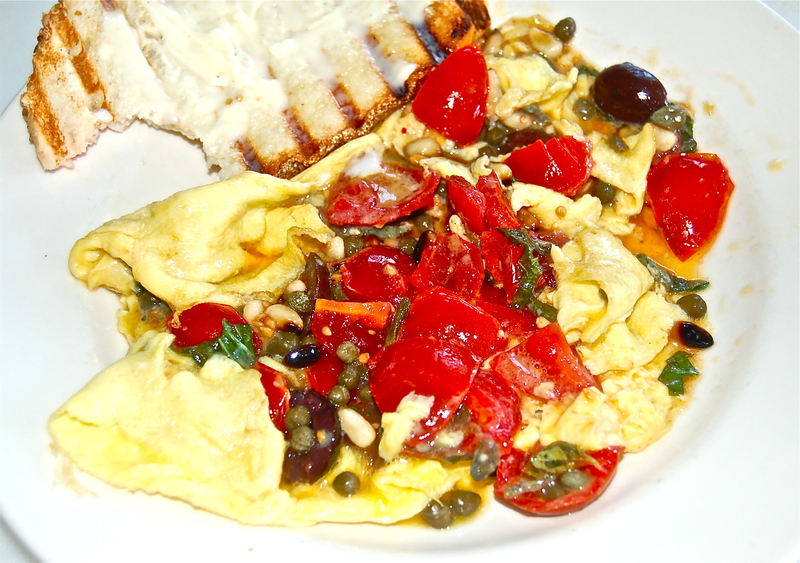 Even before last evening’s dinner was off the table, I knew that a Puttanesca Omelet was in the morning’s offering. As they say, a photo is worth, etc. It was a fitting finale to a terrific evening dinner. 1. Heat an Omelet pan to medium. 2. with a fork whisk the Eggs into a froth. 3. Completely drain the left over sauce ingredients of EVOO & set aside for the moment. 4. Add the Butter to the Omelet pan & when it stops sizzling add the Eggs. 5. When they have begun to set add the Puttanesca ingredients. 6. For a soft Omelet, remove the pan from the stove just before the Omelet completely sets up. Otherwise continue to cook for another minute or so.